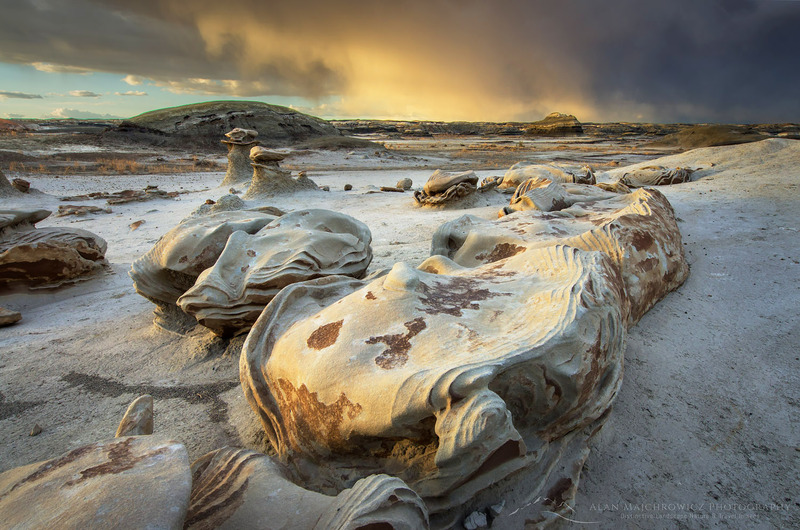 Bisti Badlands New Mexico is one of those places that has an otherworldly beauty and mystique to it. 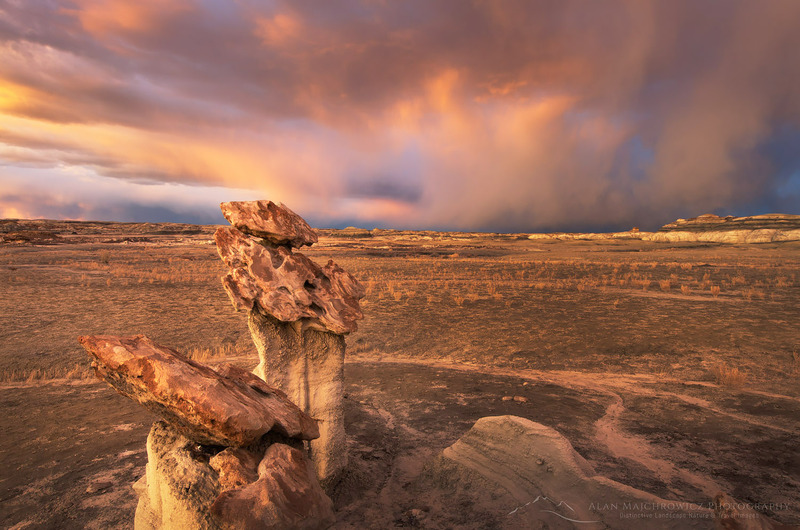 Situated in the Four Corners area of Northwestern New Mexico, the Bisti/De-Na-Zin Wilderness is a land of layered sandstone, silt, shale, mudstone, and coal. 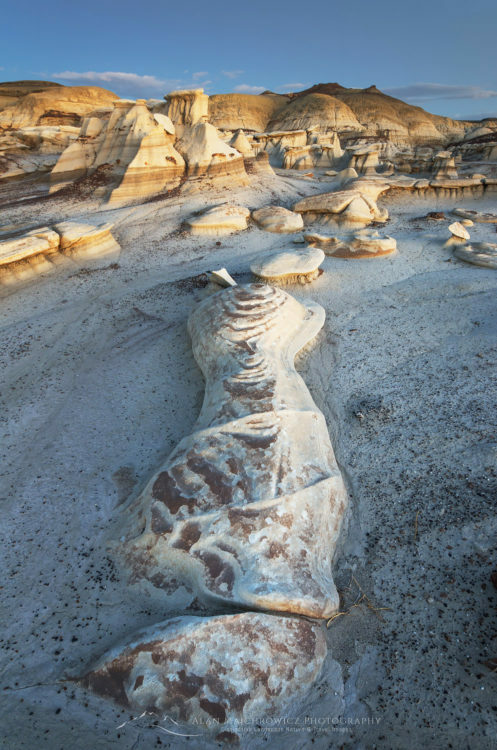 Years of erosion by water and wind have turned these layers into strange and whimsical rock formations, hoodoos, wings, fins, and mushroom shaped spires, seemingly straight out of a fantasy or science fiction story. 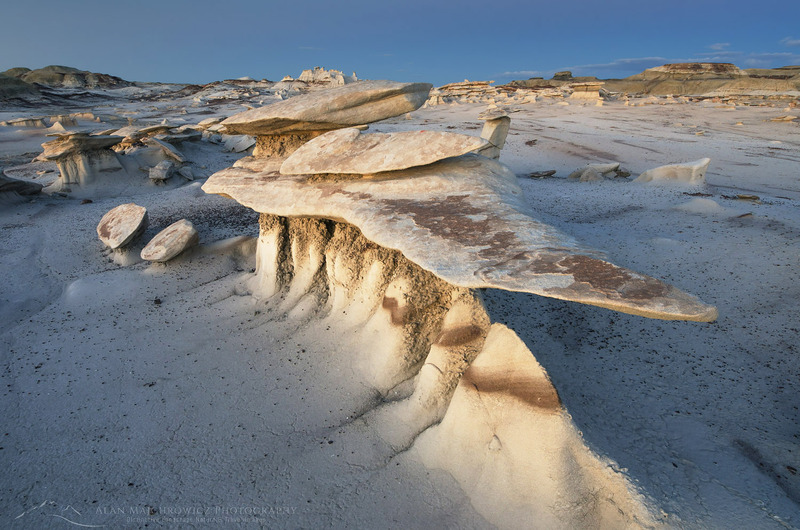 Always on the search for new locations offering dramatic landscapes, and being a big fan of geologic oddities, I was drawn to Bisti’s beauty many years ago after seeing some photos of it in a magazine. However, it wasn’t until this spring that I had my first opportunity to visit and photograph this wonderful wilderness. 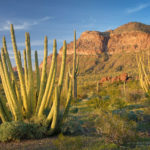 I had put off visiting this and other sites in New Mexico to photograph other more famous Southwest icons, such as Zion, Arches, Joshua Tree, and the beautiful Sonoran Desert, to name a few. So it was with great excitement that on this trip I was finally going to see one of the greatest concentrations of badlands in the Southwest. Bisti Badlands doesn’t flaunt it’s beauty like many of the well known and sought after locations in the SW. It’s one of those places where you’ll drive for miles on empty roads in a seemingly desolate landscape. Only to arrive and wonder what the big deal is and where is all the scenery? It’s true that the Bisti Wilderness is in an arid, dusty, nearly flat and featureless high plain. Arriving at the main parking area you are greeted by not much more than a wide dry wash framed by a few interesting hillsides. But there is much more to see. Like many hidden wilderness gems you have to get out and do some legwork. It’s easy to spend the day exploring hidden canyons buttes and washes. This is where doing your homework and researching literature maps and photos comes into play. There are several key areas of interest to discover. However, without some clues as to where they are you can spend many hours wandering about. These days many people rely on GPS technology to guide them quickly to the best spots. However, I feel this really takes away from that satisfying experience of discovering something on your own. Another way in which Bisti Badlands keeps it secrets is the light. You can wander about for days checking out all the best the Bisti has to see. Although if all your time is spent during the middle of the day, you’ll miss out on the real magic. I was incredibly fortunate on my first trip to encounter some truly spectacular lighting conditions which made the badlands come alive with just about every adjective in the book. On my second day the weather was very cold and windy, with a solid grey sky that made even the most interesting hoodoos look dull and lifeless. Like a good photographer, I stuck it out and spent the time exploring and lining up compositions for when and if conditions were more favorable. To my surprise, the clouds began to break up in the west about an hour before sunset. 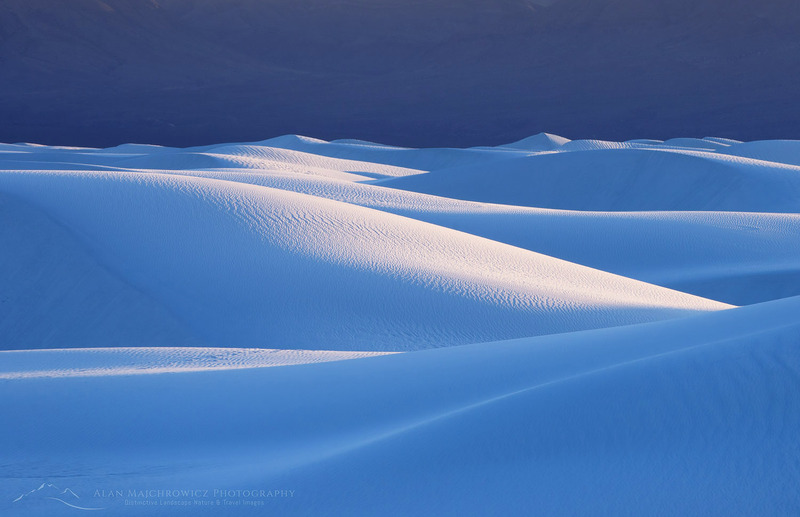 The time many photographers refer to as the “magic hour”. In the eastern sky was the remnants of a passing storm. Sheets of rain and snow flurries stood out against a dark grey background. As the setting sun broke through the clouds the eastern sky lit up like on fire. Truly an experience that I will always remember. Of course in the midst of all this drama I was working in high gear to find and compose as many photographs as I could reach before it all ended. The next evening was more tame. 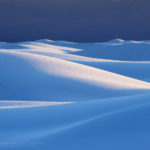 Waiting around until dusk brought some interesting light on the badlands as alpenglow softly illuminated the formations. On my recent photo trip to the Southwest I made a point of including, among my subjects, sites of Ancestral Puebloans. Several years ago I began visiting and photographing ruins, pictographs, and petroglyphs in the Cedar Mesa region of southern Utah. Finding these sites to be very intriguing and educational I wanted to explore more of them on future trips. 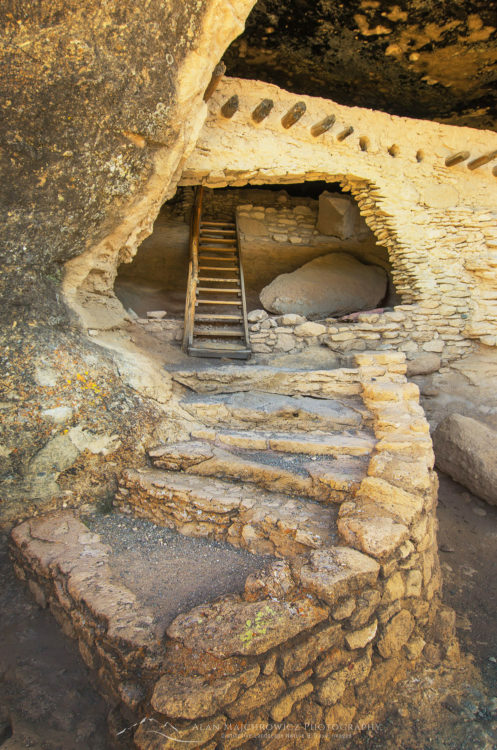 On this latest excursion, my first stop was Gila Cliff Dwellings National Monument in western New Mexico. 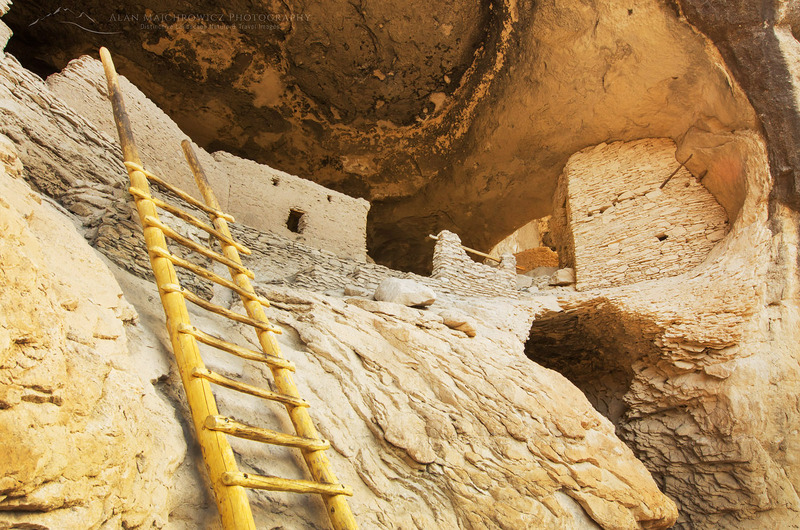 Gila Cliff Dwellings, near the Gila River, was home to the Mogollon people around 1200 AD. It was thought to be inhabited until the early 1300’s. 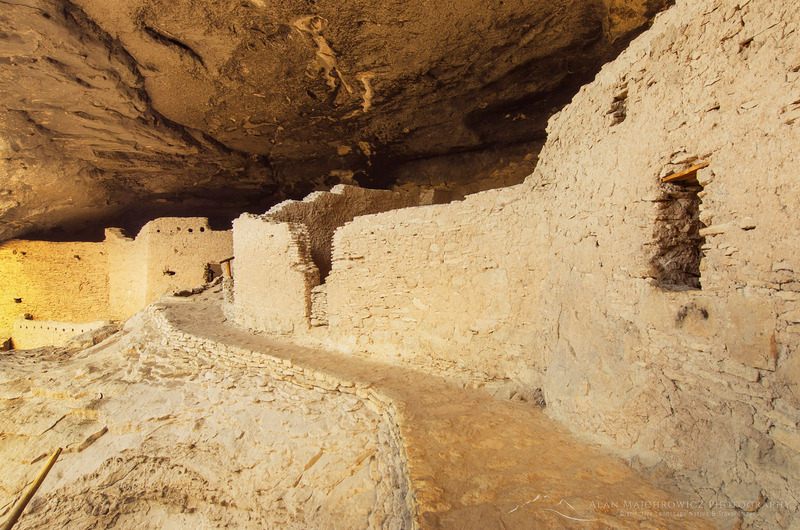 Like most of the ancestral ruins on and near the Colorado Plateau, the inhabitants mysteriously to abandon their homes and villages near the end of the thirteenth century. Within the boundary of the monument there are many preserved sites. 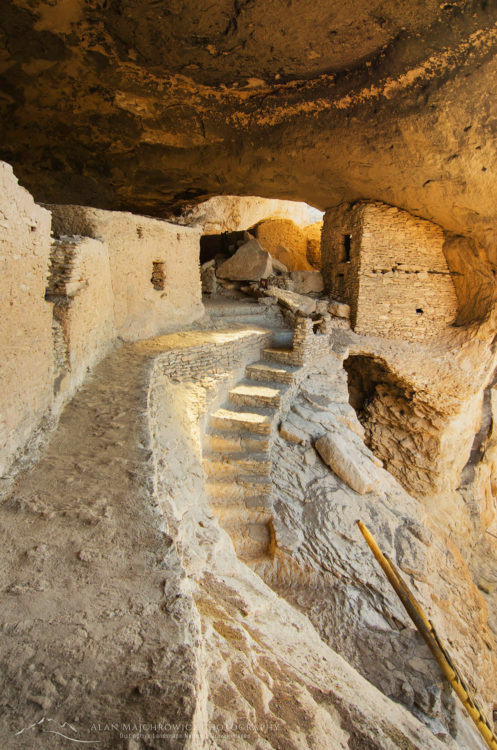 The main dwellings consist of around 46 rooms among five cliff caves. You can visit in around an hour. Although it would be a shame to drive this far without making it a leisurely visit. At the main cliff caves a very knowledgeable ranger is stationed to answer all your questions and explain in detail the history of the Mogollon people. If you decide to visit the monument be aware that it is a long drive. Silver City New Mexico is the nearest town. The distance is only 44 miles but the road follows a winding route through the mountains. Making the time traveled from Silver City around two hours. The monument has some primitive camping available. There are also a few national forest sites nearby along, with some natural hot springs. 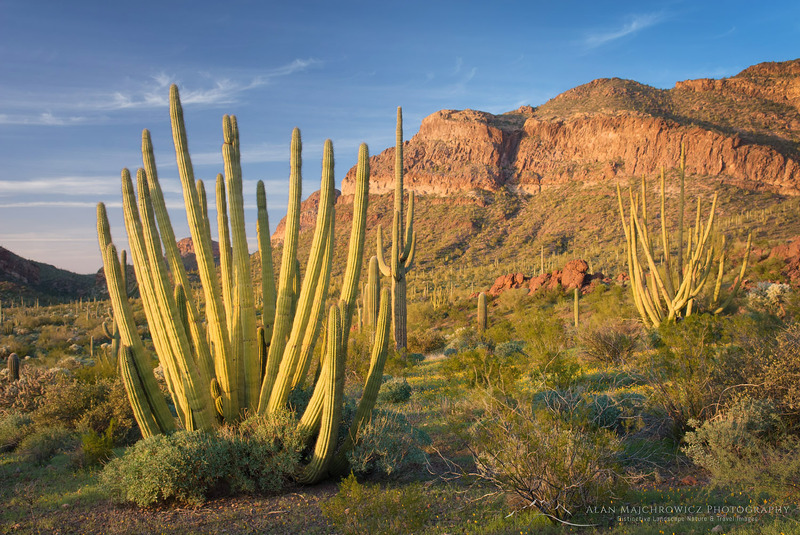 All of the new images from my recent Southwest trip are now online and ready for viewing and downloading. A selection of 100 images from a total of over 1000 have been added to my New Images Portfolio. To view even more from any of the locations listed below you can use our Search feature or contact us for a custom portfolio. Well, I’m finally back home and catching up on business after six long weeks on the road, photographing throughout the Southwest. It’s good to be back home. Althought the mountain of work facing me won’t give me any rest for quite some time. Not to mention the fact that being a photographer I’m also faced with the fact that now that we’re well into Spring I need to somehow get back out on the road and trails ASAP! 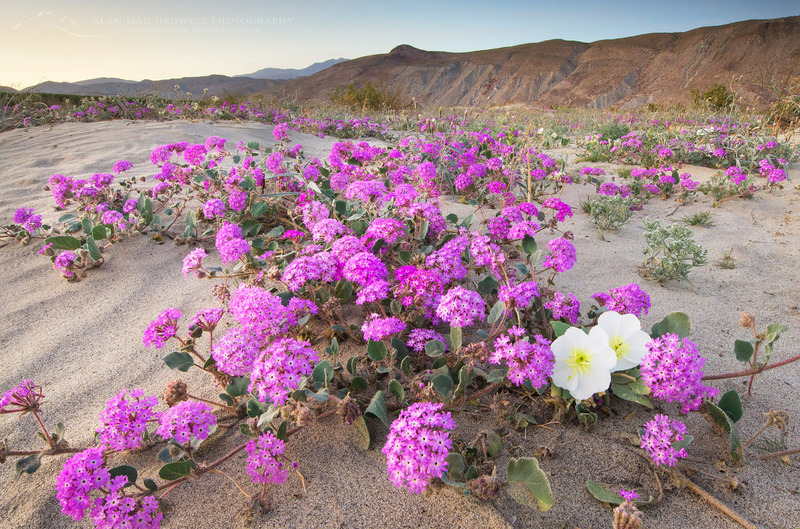 This trip started out with a goal to photograph spring desert wildflowers. However it gradually turned into an epic adventure. Visiting and photographing as many locations as I could fit in. In the end, I visited lots of new locations. Three new states were added to my photo library, New Mexico Colorado and Texas. I also greatly expanded my coverage of Ancient American ruins and culture. I also added depth to my coverage of some classic Southwest National Parks, Canyonlands, and Arches in particular. 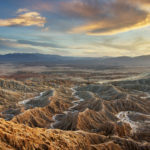 Accompanying this post are two new photos from the trip, one from Anza-Borrego Desert State Park in California and the other from Kofa Mountains Arizona. That’s about all I can find time to add right now. Below are some of the totals from this trip. Check out a selection of images from any of the listed locations. Stay tuned as I will be posting images and more info on this trip as soon as I can! 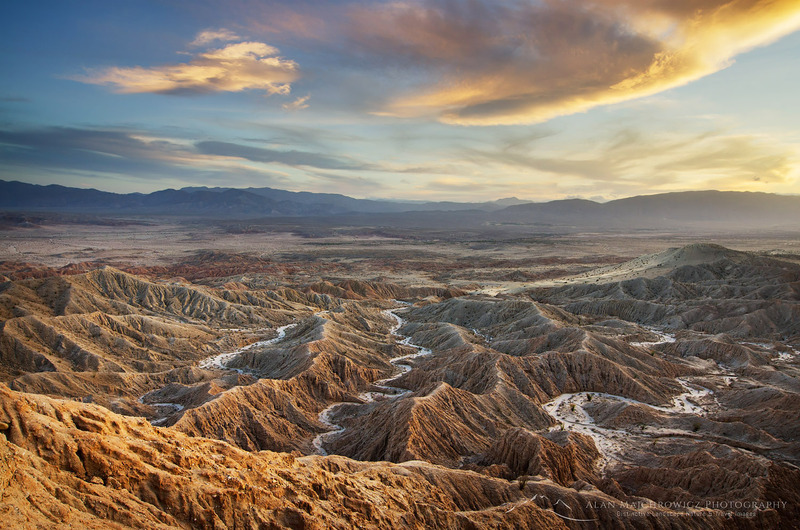 I’m very excited to announce that on Monday, March 7 I will be leaving for an extended trip to the Southwest. 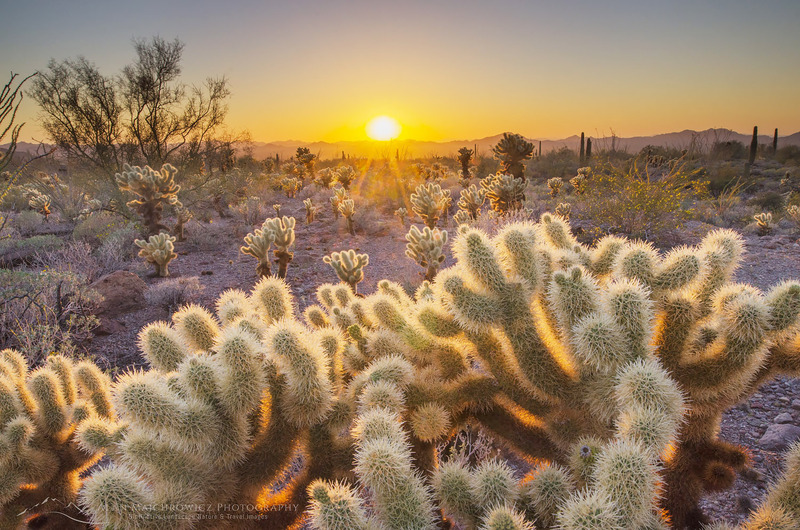 As usual for spring trips, the main subject matter will be centered around desert wildflowers. This tour will encompass many new locations, as well as several others that I have visited in the past. Listed below are the main areas and subjects I will be photographing. It’s a long list, and I’m hoping that 4-5 weeks on the road will enable me to cover everything. However, weather and time constraints force me to forego some subjects.